Since 2009, the Rt. Rev. 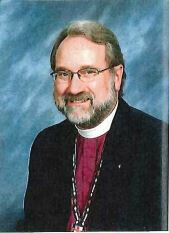 John Tarrant has served as Bishop of South Dakota - a corner of the Episcopal Church that defies expectations and preconceptions. Tarrant's ministry is a challenging one, and not simply due to South Dakota's relatively large size and sparse population (it ranks 46th for population density in America). South Dakota is a state of deep contrasts: between east and west, rural and urban, those descended from settlers and those descended from indigenous peoples, people who have hope and people who have lost it. Click here to continue reading the article from The Living Church, September 2, 2018.